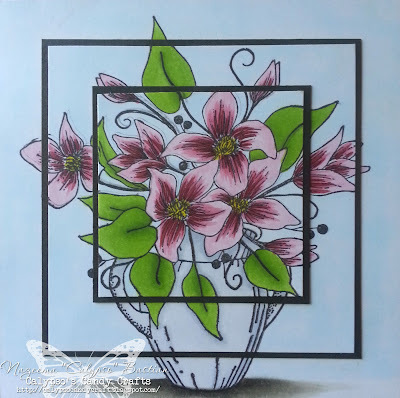 Were you able to join in SweetStamps January's monthly challenge? This is the first time I have ever tried this and I LOVE the look of it. It's really an amazing affect. I had to to keep the focus on the image, so I kept the card rather simple. For my background, I used Bazzill Basics white, black and grey cardstock. I used Leighs Flower Arrangement, colored with Copic. The grey patterned paper is from KaiserCraft: The Lake House. So elegant! 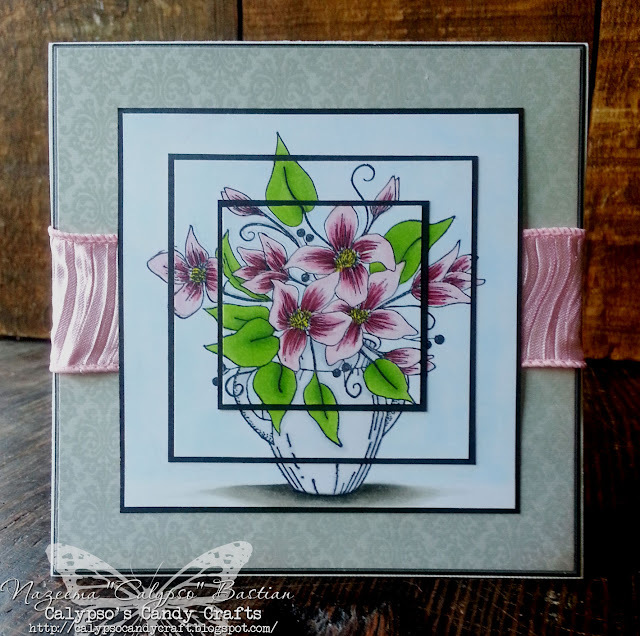 I love the coloring on Leigh's flower arrangment and the softness of the patterned paper and ribbon! Beautiful card, love your coloring! Love the added ribbon! Beautiful- love the coloring and the ribbon- awesome! 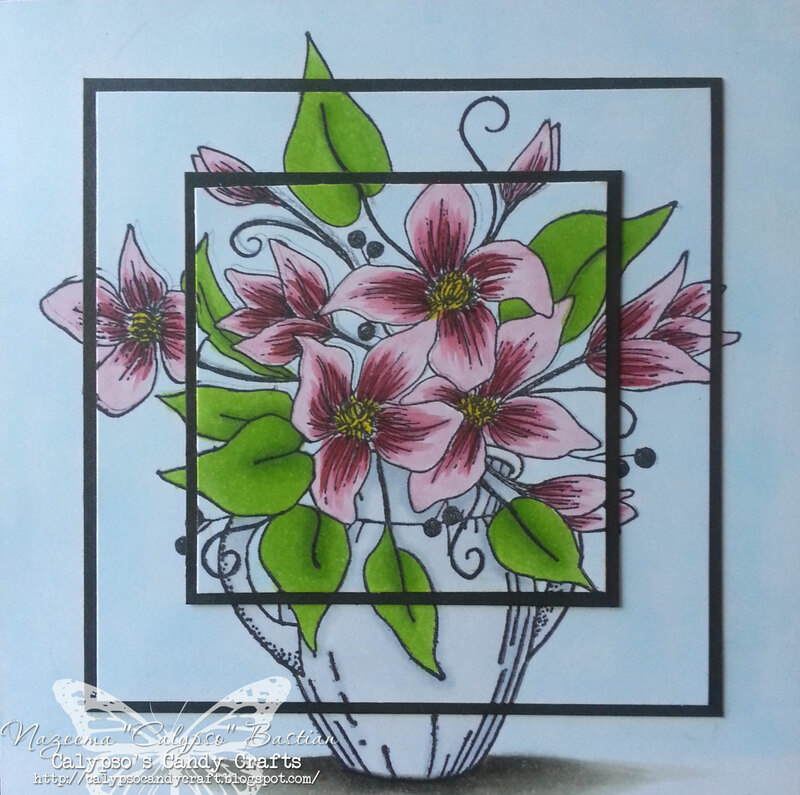 Beautiful coloring and shading on the Leigh's Flower Arrangement. Love the background paper you chose. Just gorgeous. Great coloring and shading job.